With all the red, white and blue out from Memorial Day through Flag Day, it's easy to capture some great photos using a Flag as a back drop. We have an old flag in our garage. . .I hung it over the fence in the side yard and got these pretties. . .If you're having a party, this is a great way to capture everyone as they walk in. You could even add props. 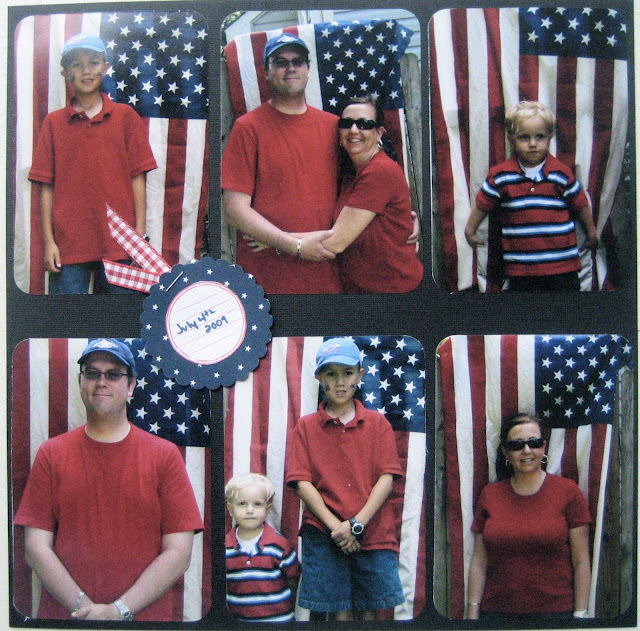 If you don't have a big flag - consider making a semi-circle of little ones and having your family sit behind them. . .or a white background when they are in their red, white and blue. You could have your kids paint a flag on white posterboard and use that in the background too. But take this opportunity to record a moment in your family's history - the story of you.